Today's stuffed capsicum is very easy and tasty recipe. You can use many forms of stuffing. 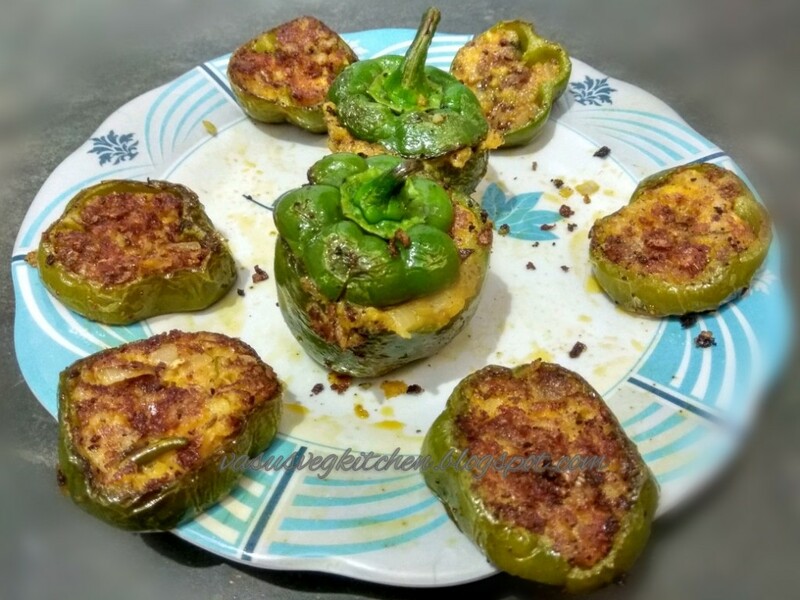 Previously I prepared this recipe with potatoes, i had small paneer pieces in fridge. Thought to use for stuffing by combining both potatoes & paneer, trust me it came very yummy 😋😋. You can have it with rice or Roti's. 2) By cutting into round pieces after stuffing. If you are serving for kids serve round pieces,they will enjoy it 🤗. 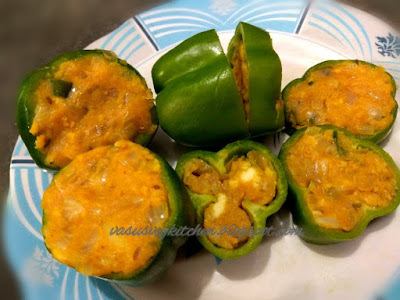 For elders you can serve full stuffed capsicum. 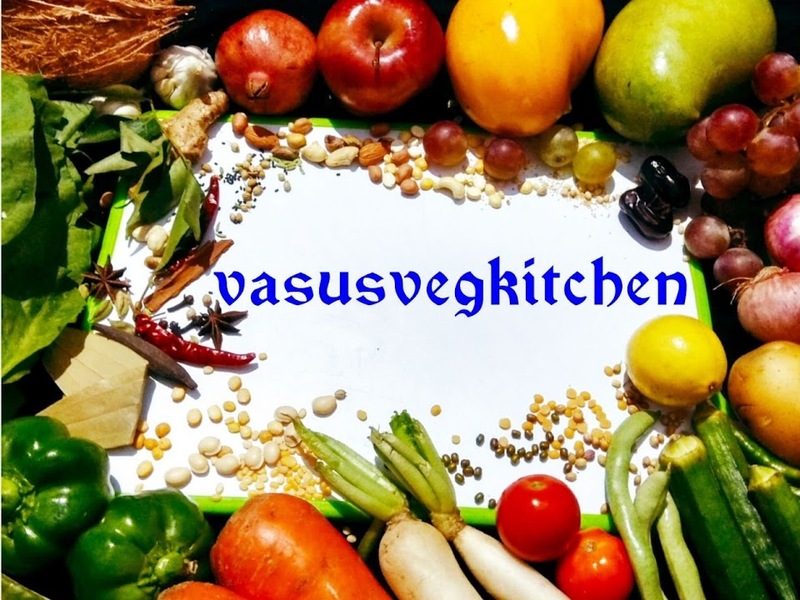 Keep the stuff ready and prepare recipe before serving, then you can feel the crispnesss outside capsicum. 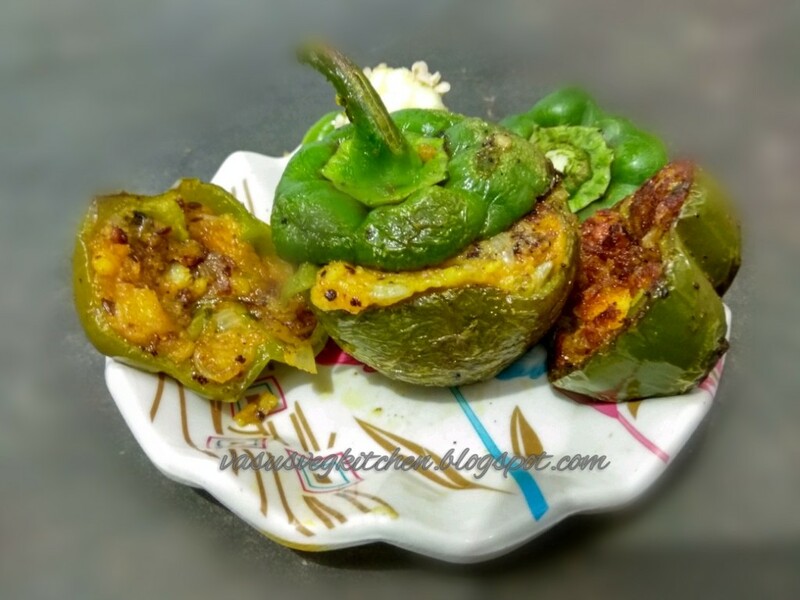 Capsicum does not take much time to cook. * Boil potatoes in a pressure cooker for 5 whistles. Remove the skin and mash it well. 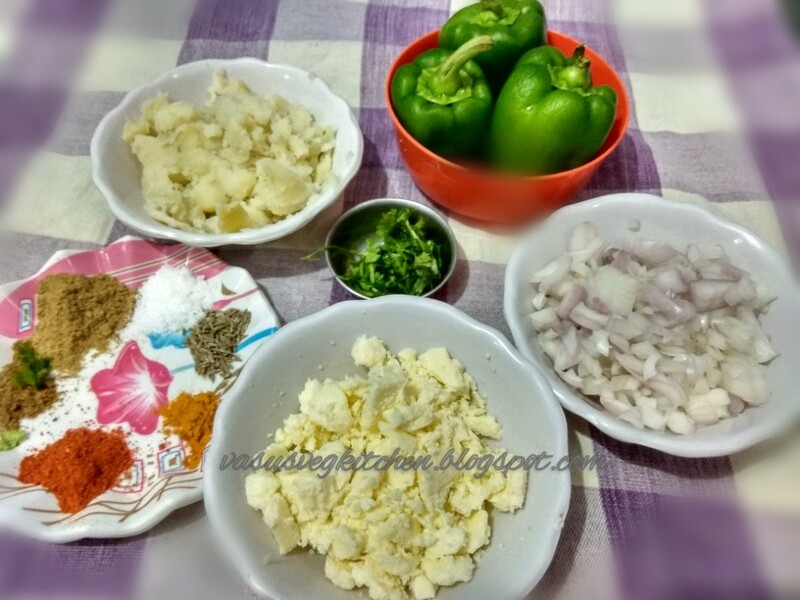 * Crumble paneer pieces and keep it ready. * Finely chopp onions and keep it ready. Remove the stem and scoop out the sides carefully. Cut the capsicum base to set it while cooking. 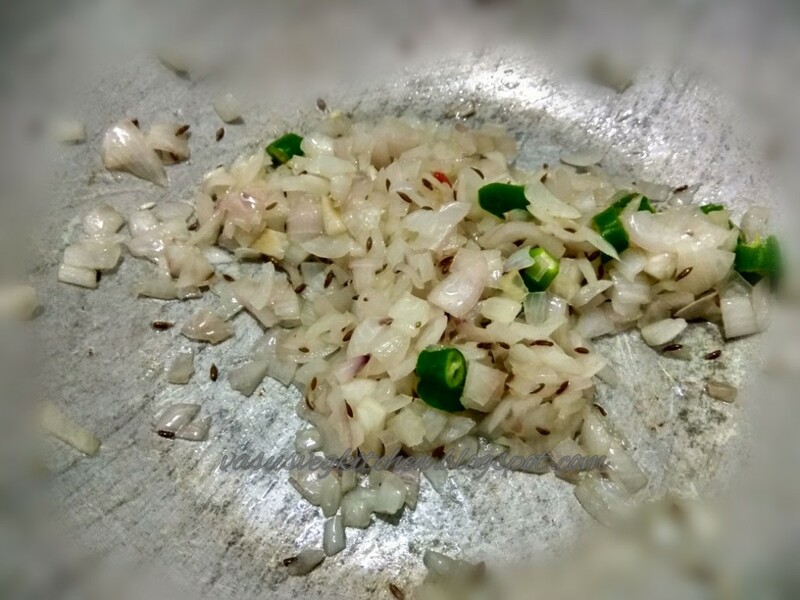 1) Take a pan add oil, let it heat for a second add cumin seeds fry it once, add green chillies, onions fry it till changes color. 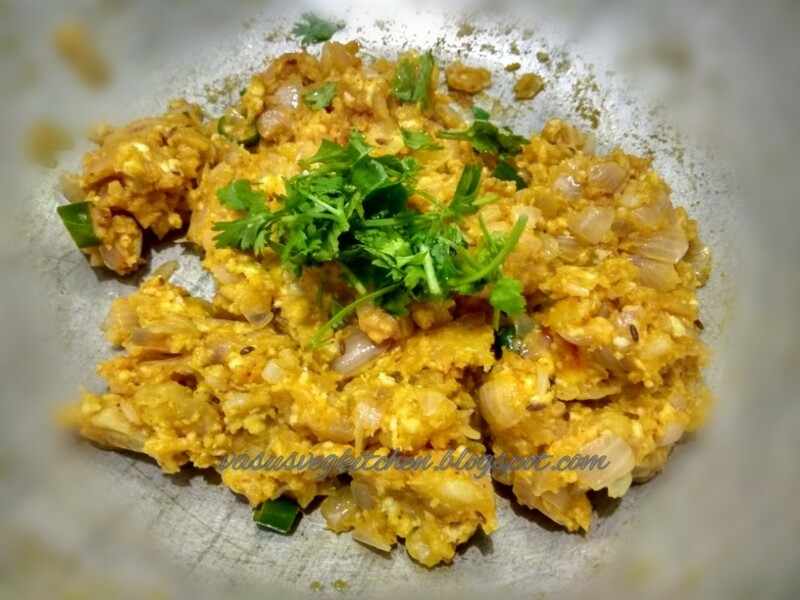 2) Add mashed potatoes, salt, turmeric powder and mix it well. Now add paneer , coriander powder, cumin powder and mash everything well. Also add coriander leaves mix it well. 4) Add oil in a pan, place the capsicum in it. 5) close the lid and cook it in medium flame for 5 - 7 minutes. Change the position of capsicum in middle so that it will cook all sides well. 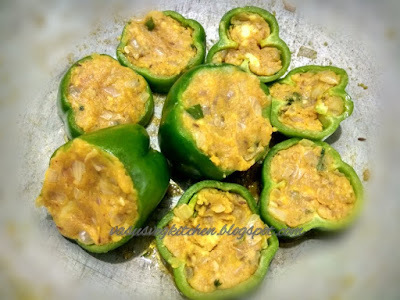 Turn the capsicum pieces in middle, so that it wont burn. * You can skip paneer. 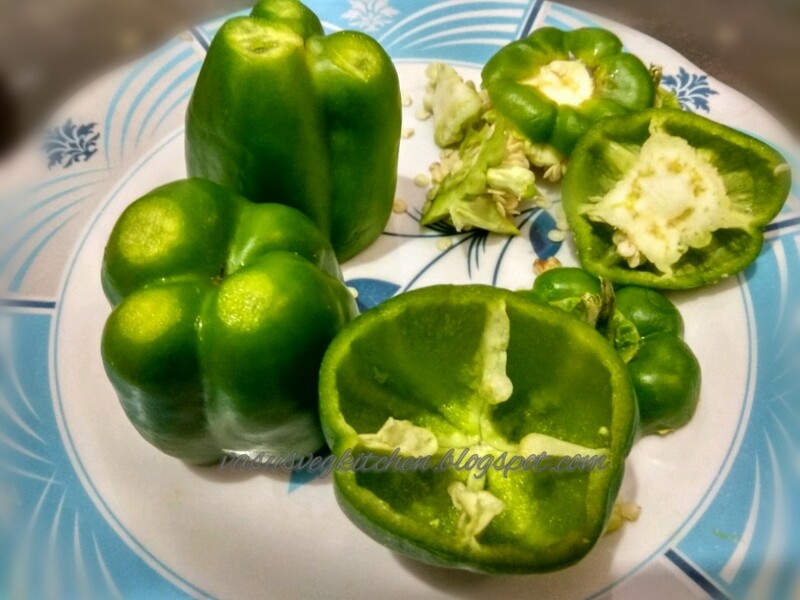 * Cutting capsicum shape depends on your interest. * Roundly cutted stuffed capsicum pieces cook very fast. It will burn if you cook it long time. * You can also add ginger-garlic paste to the curry. ◆ Fry fully stuffed capsicum and roundly cutted capsicum separately to avoid the mesh. Also drop your feedback 🤗😍. Can it be added to garam masala gravy?